RYVOLI’s breathtakingly beautiful “Ulysses” is a passionate folk song brimming with light, a warm blanket pulling us into a moving dream. Like a candle burning on a window sill, RYVOLI’s new single is distinguished and calming: A passionate folk song brimming with light, “Ulysses” takes us on a journey through, time, space, and ourselves, pulling us into a marvelously moving dream. Atwood Magazine is proud to be premiering “Ulysses,” the RYVOLI’s third song release and the latest single off their upcoming debut EP, Theories. The Lexington, KY folk duo of Jenn Whiteman and Samantha Howard, RYVOLI create breathtakingly beautiful moments full of vocal warmth and emotional depth. The musical pair met in Paris, and their name, taken from the popular street Rue de Rivoli, is a constant homage to that city of love. 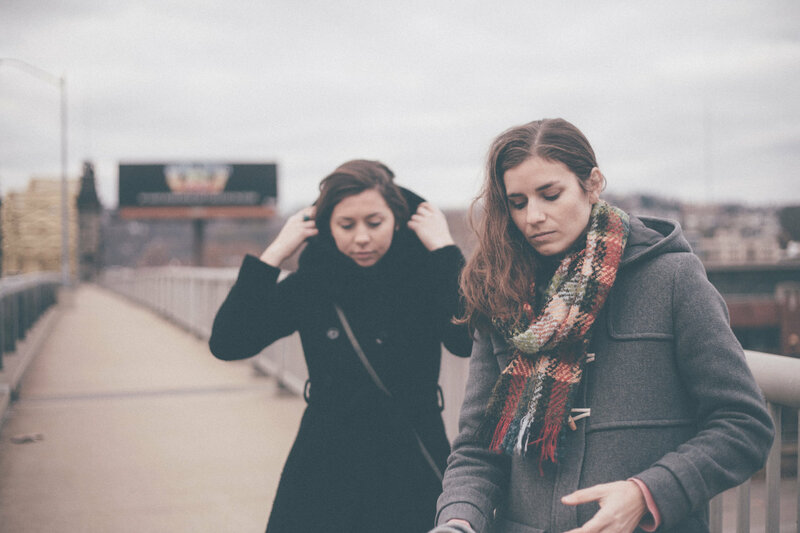 Introducing themselves a mere months ago with debut single “Sleep Talking,” the duo’s effortless harmonies and simple, yet provocative lyrics recall the likes of such greats as The Civil Wars and The Swell Season, as well as Overcoats and First Aid Kit. Opening with a slow, heavy guitar line, “Ulysses” evokes raw energy from the very start, wrapping us in a warm blanket of sound. Yet just as we begin to drift into a trance, RYVOLI’s voices hit us like a roaring fire. Soft and devastatingly majestic, Whiteman and Howard sing with perfect pitch and heartfelt strength. There’s a melancholic hue to their evocative exhales; a subtle sadness that captures the immense weight of their song’s somber subject: The fact that, despite everything at our disposal, none of us has total control over our lives, nor can we truly predict the future. We are helpless to a world filled with chaos and unknowable possibility – a notion that’s as exciting as it is scary. It’s as if the weight of the world has come crashing down in song. RYVOLI dance in the depths of darkness, but like a nightlight shining in the dark, their music serves as an anchor and buoy; it keeps us afloat, preventing our ship from plunging into cold waters. 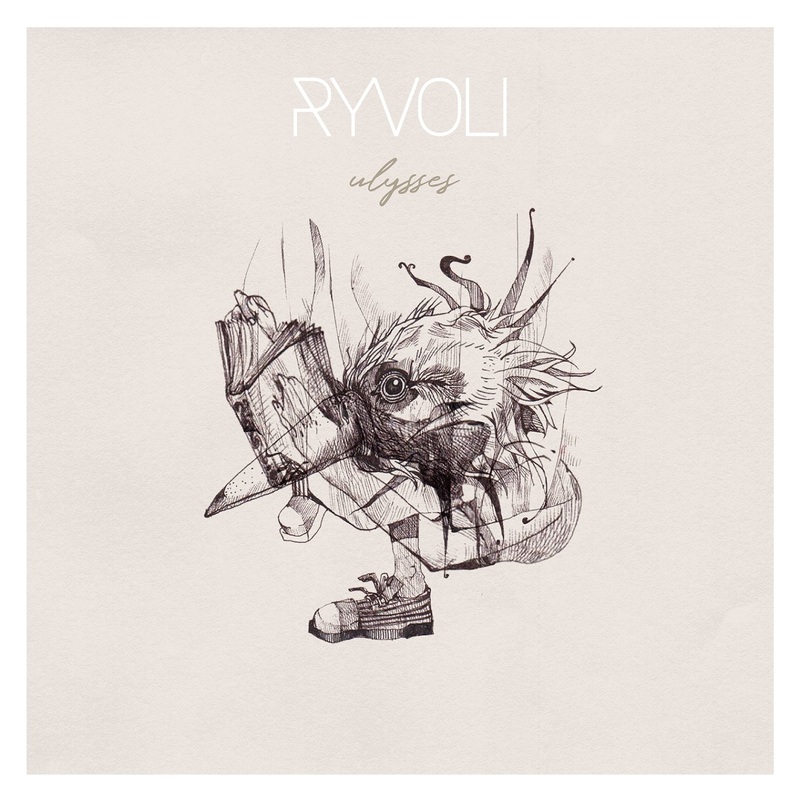 Few songs manage to take you to such a heavy place and shield you from it at the same time, but that’s the magic of RYVOLI’s art: They dazzle and sway, filling the sonic void with bittersweet sweetness. “Ulysses” concludes with reserved acceptance of our fate: The understanding that we may not know what will happen in the future, and that’s okay: Maybe we’re better off not knowing tomorrow, so as to focus on today. There will always be parts unknown, but they will all reveal themselves to us in time; meanwhile, why waste our energies lamenting that which is unattainable, rather than embracing the present? A lightly philosophical journey ending on a positive note, “Ulysses” is heartwrenchingly divine. Stream RYVOLI’s latest song exclusively on Atwood Magazine, and stay tuned for more from this artist to watch as we inch closer toward their debut EP!